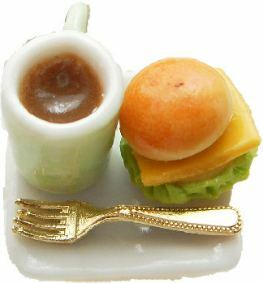 Mini cheese burger and drink ring. On a square ceramic plate. Fork is made from clay. * Not suitable for children under the age of 14 years old, due to being a choking hazard.